Lately we’ve been talking a lot about the idea of having another baby and what that would mean for us at this stage in our grief/healing process. There is a lot of thought that goes into the decision to have a child. Even more when you are considering a baby after a loss. We have to decide if we are ready both physically and emotionally. There are a lot of wounds and scars that need time to heal. Our hearts and heads are not always in agreement about where we really stand. We both have a lot of fear that we are trying to work through. There’s the obvious fear of the possibility of losing another child. This is something I don’t think either one of us could handle. Then there is the fear that something could go wrong with me. There is a fear of ruptures and repeat c-sections (though at this stage we’ve been told that a c-section is pretty much guaranteed…we’ll see). There is the fear of pre-eclampsia showing up again. Though our perinatologist is encouraging. She says that my case really was mild despite what our OB at the time tried to claim. She also said my case presented abnormally, so she is checking me for possible clotting disorders or thyroid issues. All of these things add to that awful fear of the unknown. I’m afraid of the burden that our next child might have to bear. I don’t want them to be touched by our sadness, but I’m afraid it is inevitable. I worry that our love for Josh will get lost in our love for the children we will hopefully someday get to parent. I worry that we’ll always look at every moment with our future children and think of what we lost with Josh. I worry that I won’t know how to balance the joy and the grief. I never want our future children to think they have to make up for something that we lost out on with their brother. I don’t want every milestone, holiday, vacation, birthday to have a shadow of grief around it. I want them to know their brother. I’m not sure how that works. How do you parent the children you are blessed with on this earth without such a profound sadness for the one that is not in your arms? How do you get to the place where joy and grief can dance together in harmony? How do you not feel guilty for wanting to move on past the hurt and the ache? Is it possible to get through a pregnancy after loss without fear completely suffocating you? Perhaps stupidly, I wonder if our friends and family will be excited the next time we make an announcement… With Josh, everyone was excited (I think) – gifts were given, plans were made. Next time… I worry that everyone will just be holding their breath, waiting for the other shoe to drop so to speak. That’s awful, I know. But it’s there – mixed up with every other illogical fear and thought. I don’t want to miss out on all of the anticipation and excitement with our next child, but I don’t know if it is right to expect people to be excited about attending a baby shower after a loss like we had. When the time comes I want to be able to celebrate. I want to be excited and make plans, and I worry that the fear of what could happen will overshadow the joy of what should happen. As we get closer and closer to being “ready” to have another child, I realize that we will never be truly “ready,” but that doesn’t mean we shouldn’t try. 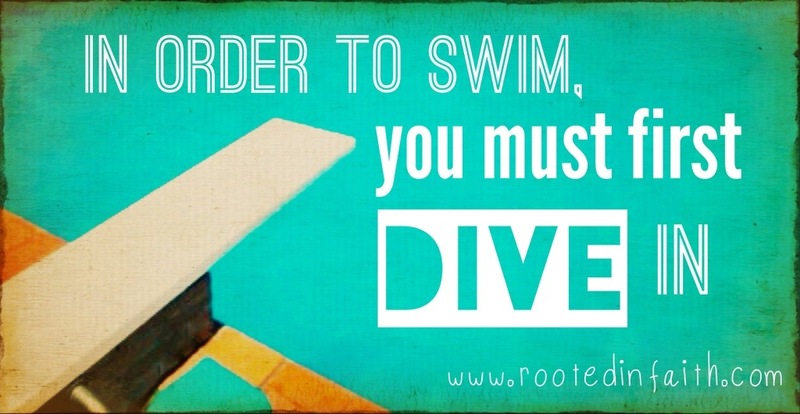 Sometimes the best way to learn how to swim is to just jump in. Also, please do not worry what others will think. Please know we will be so excited and full of joy if you are blessed with another child. We will celebrate that child, Josh’s sibling, and walk with you with joy, love , and support!